Let someone else do the cooking and the cleanup this year! Join us in LA Market for a 4-course Thanksgiving feast with all of the holiday favorites, from Traditional Roasted Turkey served with gravy, stuffing, roasted garlic mashed potatoes and all of the fixings, to Apple Pear Tart Tatin with caramel sauce and creme fraiche ice cream for dessert. 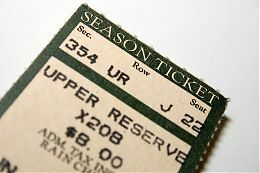 $47.00 per adult, $18.00 per child, exclusive of tax and gratuity. With Lakers season right around the corner and a packed fall entertainment schedule at L.A. LIVE, make the JW Marriott Los Angeles at L.A. LIVE your pre, post and overnight headquarters for all of the fun festivities. Show your same day ticket stub from any L.A. LIVE venue, including STAPLES Center, Nokia Theatre, Club Nokia, Conga Room, Regal Cinemas and GRAMMY Museum Public Performances and receive 15% off at LA Market, gLAnce Wine Bar, The Mixing Room and WP24 Lounge. Rates start at $179.00. Call 213.765.8600 to make a reservation, or click below and enter code ICP when booking. Join us in the Spa for seasonally-inspired spa treatments such as a "Pump-Skin Facial" where the skin is deeply cleansed and exfoliated with a pumpkin and yam enzyme peel followed by a hydrating mask and the "Holiday Spice Experience," a two hour treatment which begins with an exfoliating oatmeal and walnut body scrub and finishes with a full-body application of clove and nutmeg body butter. Call Spa Reservations at 213.763.4400 to make an appointment. Lights, Camera, Action! Attending the American Music Awards on November 21 at L.A. LIVE? Be the star that you are with our "Red Carpet VIP" package. 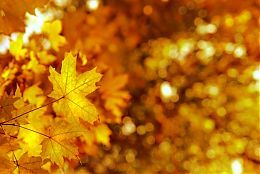 Sip Champagne or enjoy the spa with your $100 hotel credit, enjoy luxurious overnight accommodations and wake up to breakfast for two at LA Market; package also includes complimentary valet parking. Rates start at $309.00 per night; enter code HON at www.lalivemarriott.com when booking. 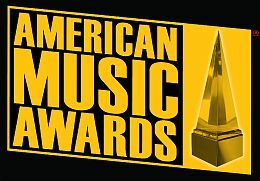 To purchase tickets to the American Music Awards, visit http://www.ticketmaster.com/American-Music-Awards-tickets/artist/888228.